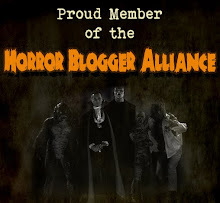 Horror's purview is one of good versus evil, obviously, but that's one battle which doesn't interest me much in fiction; I do not think art has to be didactic or proselytize to be effective. 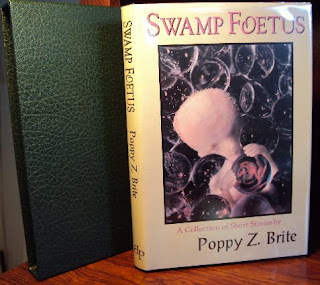 In Poppy Z. Brite's first stories, collected in Wormwood, there is no real sense of good or evil, just the aesthete's pose of worldliness and boredom. She was concerned not with morality but with sensuality and brought a sort of fin de siecle decadence to the genre just as its paperback popularity seemed to be fizzling out. This approach was something horror mostly lacked in the era, concerned as it was with middle American families, or children and teenagers. A teenager herself when her stories were being published in The Horror Show magazine in the mid 1980s, Brite's characters were the misfit kids, part of subcultural movements that I was familiar with and sympathetic to—punk and goth and whatever the mixture of the two beget. 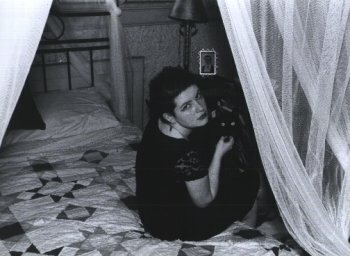 They hung out in filthy, ill-lit clubs, wore black rags and had messy hair and crashed in abandoned houses and churches, sleeping on stained mattresses and consorting intimately with a variety of partners, usually all in a New Orleans of perfume and rot. 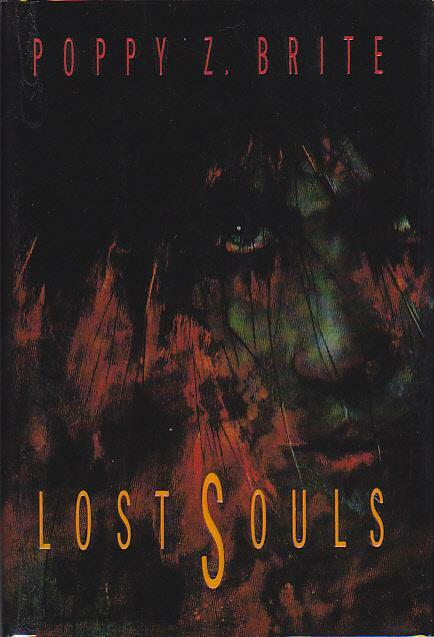 Certainly to an audience used to the familiar comforts of Koontz, King, or Saul this wasn't going to go over well at all, but it didn't need to; Brite's first novel, the highly anticipated Lost Souls (1992), was part of Dell's line of innovative and edgy horror novels not geared towards a mainstream audience. 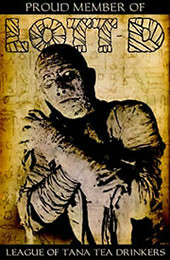 Published in hardcover, Lost Souls made Brite the hot horror commodity of the early 1990s. And it didn't hurt that her two earliest champions were Dan Simmons (who wrote the introduction for this collection) and the mighty Harlan Ellison. 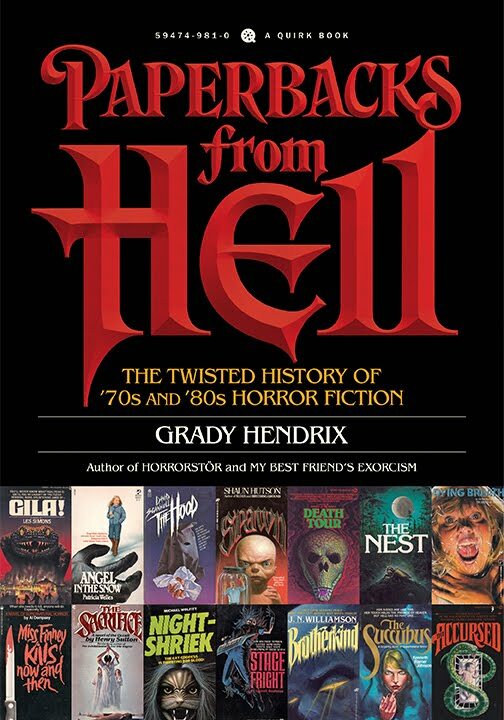 When I first read most of these stories it was late 1993 and the collection was entitled Swamp Foetus, a limited-edition hardcover from Borderlands Press. 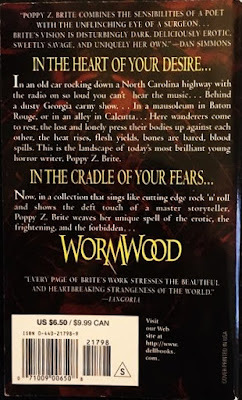 This paperback edition from Dell did not come out until 1996, and then retitled Wormwood probably because someone took offense at the original. Still, it's a good title, evoking the poison and delirium of absinthe, then still a more or less obscure liqueur beloved of true arty decadent types. But it's also relevant since it refers to "His Mouth Will Taste of Wormwood," which was the first story I ever read by Brite, in 1990's Borderlands. I was hooked immediately. This story always reminded me of Lovecraft's minor tale "The Hound," yet it is undeniably Brite's own. Two young men, jaded and bored beyond belief by their excesses in art, sensuality, drink, and drugs, turn to grave-robbing for ghoulish kicks. Then, in a dank punk rock nightclub, they meet another boy who may offer them their greatest and most final thrill. Dying: the final shock of pain or nothingness that is the price we pay for everything. Could it not be the sweetest thrill, the only salvation we can attain... the only true moment of self-knowledge? The dark pools of his eyes will open, still and deep enough to drown in. He will hold out his arms to me, inviting me to lie down with him in his rich wormy bed. Some of the things that have floated to the surface are little more than bone. Others are swollen to two or three times their size, gassy mounds of decomposed flesh... silk flower petals stuck to them like obscene decorations... Yawning eyeless faces thrust out of stagnant pools, seem to gasp for breath. Rotting hands unfold like blighted tiger lilies. Every drop of water, every inch of earth in the graveyard is foul with the effluvium of the dead. Two friends from her first novel Lost Souls (1992), Ghost and Steve, appear in "How to Get Ahead in New York" and "Angels," adrift and wayward, on their own for the first time. The sleazy environs of 1980s New York comes right to life in the former tale while the latter evokes the circus-freak setting of Katherine Dunn's Geek Love (1989). Unkempt, doomed musicians play large roles in "A Georgia Story" and "Optional Music for Voice and Piano," depicted sympathetically and believably. "The Ash of Memory, the Dust of Desire" is set in the restaurant industry - many years later, all her novels would be - in a brutally modern world that has little need for love or flesh. Certainly the earlier stories, like "The Elder" and "Missing," may be a little slight, but it's obvious they were written with passion and care and intensity. All in all, I feel Wormwood is a must-read; it's been good, rewarding fun revisiting it. Are the stories scary? Not really, no. This, as well as the brooding teenage characters and sensual depictions of death, might be a turnoff off for some readers. But with their strange and compelling visions of a world populated by the outcast, the marginalized—indeed, by the dead themselves—Poppy Z. Brite's short stories show that true horror, facing it and embracing all its woes, may be bravest, most beautiful, the most rewarding thing of all. Great post. This is an author I keep meaning to read but always miss somehow. Hopefully my family grabs me a few of her titles this year for Christmas. If not, I will quickly go in and grab a few before I forget. Thanks! Fortunately--and unlike many of the books I post about here--all her stuff is in print & widely available. Haha, I know what you mean. I put together a little bit of a book list to help my family with buying me stuff for Christmas and put many of the titles you write about on it. Knowing how hard they might be to find I did my best to find used bookstore sites where they could easily buy the titles, but some of them I just could not find at all. Damn! One of the best overviews I've ever read about Poppy. I picked up Wormwood in the late 90s because of Harlan Ellison's blurb on the cover. I figured if Ellison digs her then she must be something and she was and is...big time! I've been meaning to read Poppy for a long time. People keep telling me I'll like her books. Great article! Poppy is one of my all time favorite authors. Lost Souls is a beautiful book. It's been some time since I picked one of her books from the shelf, after this I think I just might have to reread Lost Souls or Drawing Blood. Ah, Z. Brite, definitely one of my favorite authors back in the 90's, and still so... well, actually, I never got around to reading her later books (ex. the collections "Are you loathsome tonight?" 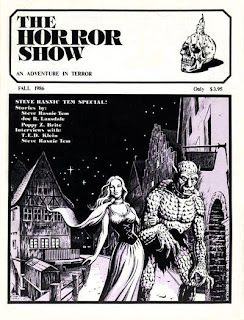 and "Antediluvian tales", I keep meaning to someday). Anyway, I, too started with "Wormwood", and definitely agree with your assessment --there is more of Baudealaire or Gautier (and, I'd add, of Lorraine, perhaps even of Ashton Smith?) in her worlds. "Darkly poetic" I guess is the best way I can describe it. Also, I especially liked "Optional music for voice and piano" with it's exploration of beauty and menace. It sounds cliché, but that's what the story is at core, beautiful and ultimately harrowing, not unlike the lead's singing voice. To be completely honest, I enjoyed her next two novels, "Lost souls" and "Drawing blood", but I feel the stories were much better. In the novels, there were a few points where the story seemed to have nowhere to go once the more arresting images were over. Still, this is one writer that's probably worth a few re-reads. 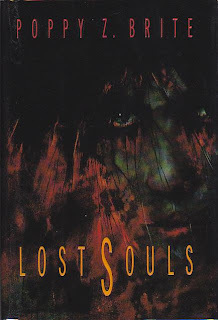 I don't think I ever finished reading LOST SOULS back in the day, as I really preferred her short stories. However I hear DRAWING BLOOD is excellent, so a review of that will appear here... someday!